The property is located in the very centre of Albert in the Somme, and has magnificent views . . .
Péronne is a small town in the Somme, roughly half way between Paris and Calais, with . 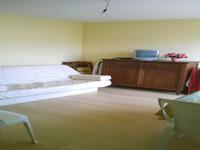 . .
Lovely, studio located by the less than 50m from the beach. Large balcony facing the sand . . .
Lovely, studio located by the sea. Large balcony facing the sand dunes. Located less than . . .